Monte-Carlo Sporting Summer Festival is the annual music festival in Monaco, where only international stars take part. Every year in July and August Salle des Etoiles becomes a venue for the most unforgettable concerts and gala dinners in the French Riviera. Salle des Etoiles concert hall with a floor space of over 1000 m2, panoramic windows and movable roof is reckoned to be one the most beautiful concerts halls in Europe. 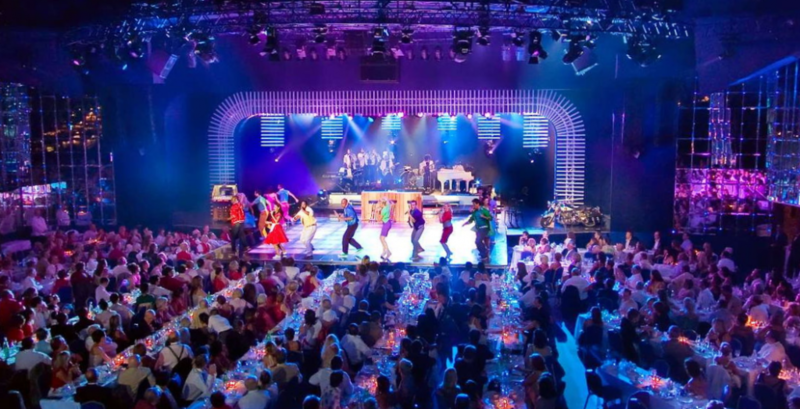 Since 1974, the most famous world stars like Charles Aznavour, Frank Sinatra, Stevie Wonder, Shirley Bassey, Tina Turner, Elton John, Mariah Carey, Jo Cocker, Pink Floyd, U2, Rihanna, Jay-Z, Beyonce, Kanye West and others performed on this legendary stage. Getting to the concerts and Monte-Carlo Sporting Summer Festival show means attending on eof the most glamorous and grand events of summer in France, which includes not only numerous spectacular concerts, theatre performances and show, but also luxurious parties, fantastic fireworks and salutes. If you are interested to buy tickets to shows and concerts at the Monte-Carlo Sporting, please contact us: fill out a request form indicating the subject of your query. Once we receive your request, we will contact you as soon as possible using the contact details you indicated.